Music Blog on YouTube. Apeiron (ἄπειρον) is a Greek word meaning "unlimited," "infinite", or "indefinite". 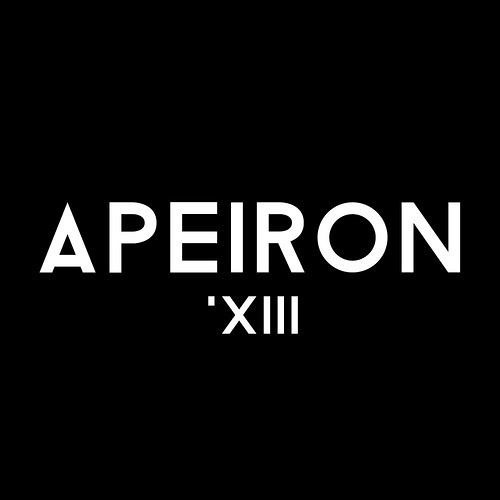 Established in 'XIII (2013), Apeiron ​is ​a ​music ​blog ​dedicated ​to ​finding ​unique ​and ​inspiring ​up ​and ​coming ​artists. Discover touches of electronic music, R&B and Pop infused with something special. In case you would like to submit your music, please fill out the following form. Every submission will be listend to. https://apeironsound.typeform.com/to/W4xglc ✖ Become part of the Infinity: ∞ Facebook http://facebook.com/ApeironSound ∞ Spotify: http://spotify.com/user/ApeironSound ∞ Instagram http://instagram.com/ApeironSound ∞ SoundCloud https://soundcloud.com/ApeironSound ∞ Twitter http://twitter.com/ApeironSound #ApeironSound to give me a chance to see your posts. Activate "notifications" for Apeiron by pressing the bell besides the subscription button and never miss a song!